Leah Bryant will look beyond the idea of the joys of love with “Chew on this: Managing Misophonia in Close Relationships” at 5 p.m. Thursday, April 19, in Schroeder Hall, room 242. The event is free and open to the public. Bryant’s talk will explore the paradoxical nature of close relationships, focusing on the irritations, annoyances, and difficulties associated with managing misophonia. Misophonia is a sensitivity to certain sounds that trigger negative emotions, thoughts, and physical reactions. Those who suffer from misophonia are affected by the unintentional and involuntary sounds made by the people with whom they have the most contact, making their closest relationships a source of both joy and anguish. Bryant teaches courses on the dark side of personal relationships, family communication, interpersonal communication, and introduction to the human communication. She was recently awarded the National Communication Association Teachers on Teaching Award. She has been nominated multiple times for the Excellence in Teaching Award at DePaul. 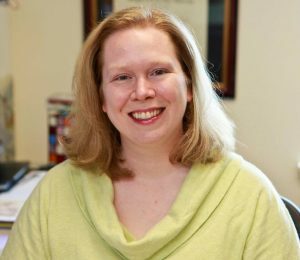 Serving on numerous editorial boards, Bryant has published research in various journals, including the Journal of Social and Personal Relationships, Journal of Family Communication, Communication Studies, Communication Quarterly, and Communication Research Reports. The event is sponsored by Illinois State’s College of Arts and Sciences Interdisciplinary Initiative and the ISU Interdisciplinary Research Group on Personal Relationships. The event has also received assistance from Illinois State’s Departments of Psychology, Sociology-Anthropology, Communication, Family and Consumer Sciences, and from the College of Applied Science and Technology. Those who need special accommodation or more information, can email Susan Sprecher.